One day, amid final exams and the hell that was my Master’s thesis, I decided to sit down and write. It was as if everything that was bottled up – all my inspirations, my thoughts, my creativity – just received the go-ahead to release. That night I began writing Kindreds: An Alliance of Bloods in my tiny studio apartment in Cambridge Massachusetts, I had no outline, no working title – nothing except the characters – and only a vague notion of what I wanted to write. I remember reveling in my newfound freedom; for someone who had spent years in the world of academia, painstakingly crafting concise theses and preparing detailed outlines before I can finally sit down and write, the world of creative writing was liberating. But then, as the initial burst of euphoria subsided, I came upon a roadblock. What happens next? Where do my characters go from here? Suddenly, without a solid blueprint to guide me, without academic research to fall back on, I felt lost. I’m an avid traveler. Partly for my research while at school, but mostly for leisure, I’ve made life-altering solo trips to the islands of Japan, the pyramids of Egypt, the beaches of Vietnam. The scenery and people I encountered gave me great inspiration in crafting the people of an entirely new kingdom. For example, as part of my research for my thesis, I had the opportunity to travel to northern Iraq to interview former insurgents. Much of what I learned from them – their motivations in joining an insurgency, their fears and their resentment for the way things are – inspired my writing when it came to exploring the psychologies of the members of the Resistance in my own novel. Slightly related to my travels, though this one is less personal. I was an International Relations concentrator during my undergrad years, so studying the customs and language of other cultures were part of my academic coursework, and in time, they also became my interests. Many of the foreign words that are used in the village where my main character, Raine, is from are rooted in Arabic. I love reading books about other countries and their people, and I find great inspiration from them. A book I recommend is the National Geographic’s “Book of Peoples of the World: A Guide to Cultures,” which is full of fascinating details about the various ethnic identities and cultures of our world. I initially started writing in my apartment, usually after a long day of classes and studying. But as I began to struggle with the storyline and my characters’ development, I abandoned my nighttime writing frenzies and began to write at cafes, libraries, parks – anywhere where there were people. When I was stuck, or just plain tired, I would look up and watch the people around me. Mannerisms, tone of voice, choice of words. How people laughed, interacted, and moved. I would imagine my characters interacting with these strangers, and thought about how they would act. I think this helped a lot in making my characters seem more human and relatable. Fellow authors, when you look back and think, “Hm, why did I write what I did?”, what pops into your mind? Avid readers, what books have inspired you to read? 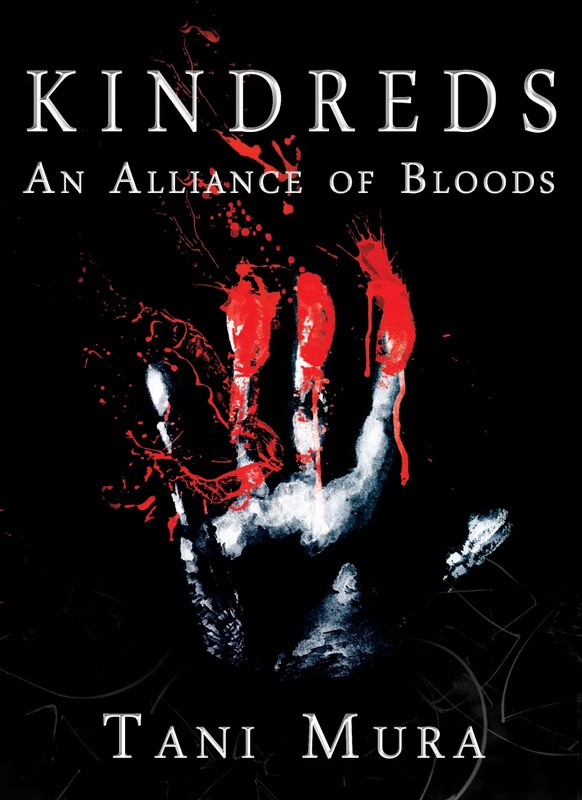 And before I go, please take a look at Kindreds: An Alliance of Bloods, the first of the Kindreds series! Raine has just turned twenty. It is the age of adulthood, the age of initiation, in her village the Outer Rims. For a long time, Raine thought her existence would forever be confined to the walls that surround the Outer Rims. She will live and die without ever overcoming her struggle to prove herself as the only woman Askari – or soldier – in the Rims. She will never know the quickening of her heart as a man touches her face, and she will never know the comfort of a mother’s embrace. But that was before they came for her, whisking her away to an unknown world – a kingdom where the people are segregated by blood and race, where the minds of soldiers are affected by brainwashing and mind control, where the three-blooded King is worshiped as God. The segregation law divides the kingdom into three races, and the mixing of blood is a sin punishable only by death. Here, Raine is exposed to both the highest potential and the deepest perversions of the human mind. She is introduced to technologies she has never seen before, and discovers the existence of genetic experiments she feels should never exist. Tani Mura comes from a political science and Middle Eastern studies background. She received her BA from Brown University and MA from Harvard University. Her academic area of focus includes national and global security issues, terrorism and counterterrorism studies, and Middle Eastern history and politics. She has worked for government agencies, NGOs, non-profits, and think tanks, and she regularly uses lessons learned from her professional experience to fuel her creativity in writing. She speaks English, Japanese, and Arabic, and is currently studying Farsi. Tani is originally from a small town in northern New Jersey. 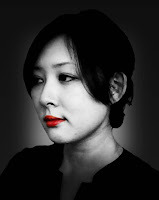 She currently lives in Singapore, and is hard at work writing the second novel of her Kindreds series.